Are We Stressing Out Our Kids? Kids petition Crayola to start a recycling program for markers. Severn Suzuki petitions leaders at the UN to take better care of the earth. Click here to read the family letter about our classroom recycling project. This letter was also sent as an email over holiday break. 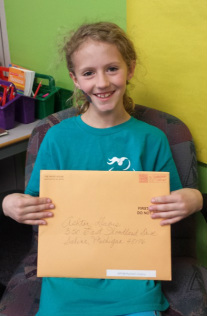 Congratulations to Ashton, and all the persuasive letter writers for their hard work and passion! 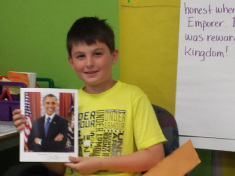 Earlier in the year, students wrote persuasive speeches. Some wrote to teachers, some to the principal, some to the mayor, and many to you as parents. 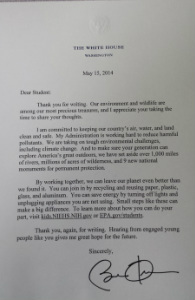 One of our students, Ashton, wrote passionately about proteting the environment. 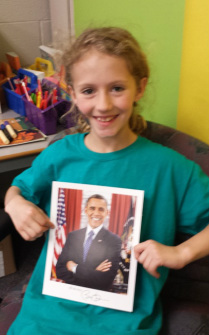 She wanted to send her letter to the President of the United States, so we set out to make that happen. Today, Ashton received a reply. 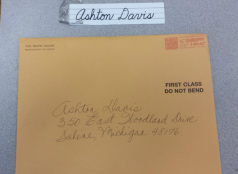 Here are a few pictures to chronicle her exciting mail! 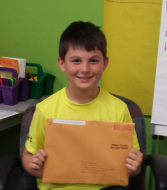 Today, Daniel recieved his response to his persuave letter. 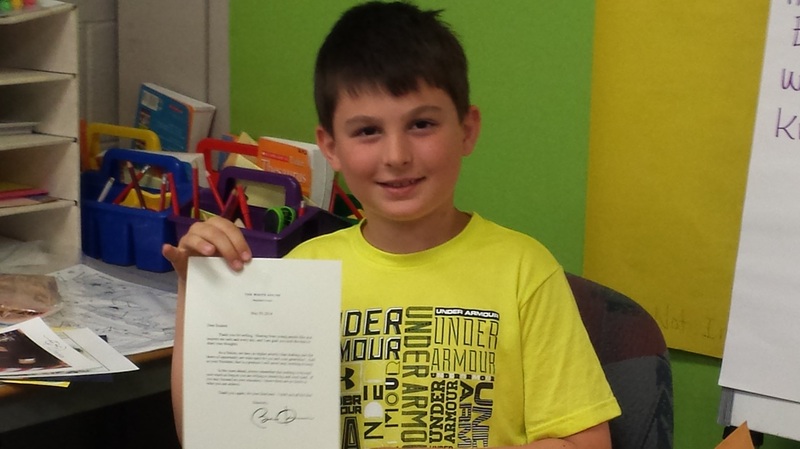 He wrote to President Obama to tell him how great he thought our country was. 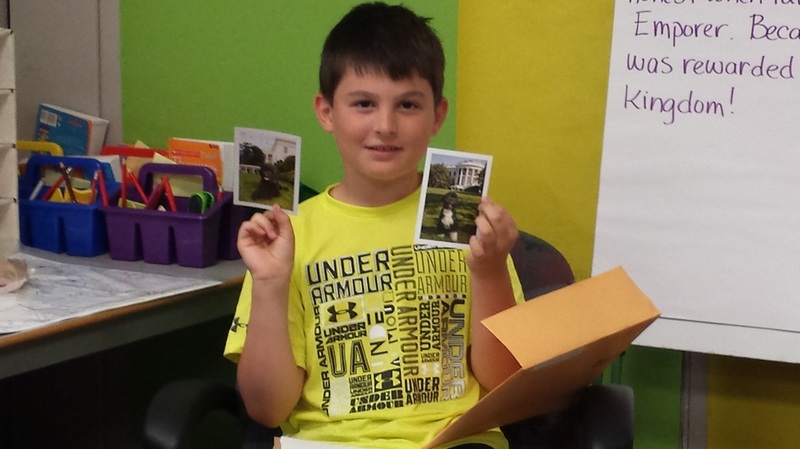 Here are a few pictures to show Daniel sharing his exciting mail with the class. Lesson 1: Speech-Writing is a Kind of Opinion Writing. The writer, or speaker, puts forth an opinion- a thesis statement- and then gives reasons, details, and examples that support that opinion. The tricky part is that the writer, or speaker, has to choose reasons that will convince his or her audience. teachers can do it, too! Our class would like to have more Fun Fridays this winter. Some examples could be: hat day, slipper day, or pajama day. The most important reason is we can have fun while still learning. All the kids in school would like to have some fun while learning! At this point, kids went off to write their own invidual paragraphs to persuade Mrs. Szczechowicz to let us have Fun Fridays. Remember, they only had 30 minutes! They were reminded to think about their audience to come up with the most persuasive reasons possible. They were also asked to use transition words such as "the next great reason" or "another good reason" as well as giving multiple reasons and examples. Look for student paragraphs to be added here shortly. Mrs. Szczechowicz came into the room and the kids made their proposal. We read the first paragraph written together, and then went around the room asking students to read their persuasive reasons aloud. Mrs. Szczechowicz gave it some thought and had a few questions and concerns. She needed to step out of the room for a few minutes, so we put our heads together and got to work brainstorming. Here are her concerns... and our responses. we wouldn't wear slippers to P.E. When Mrs. Szczechowicz returned, the kids were ready. They presented their new ideas for her concerns and she was persuaded. She gave permission for Woodland Meadows to celebrate Fun Fridays for the months of January and February. The kids were excited and much cheering and fist-pumping ensued! The power of their words made a positive impact immediately :) For the next three weeks, we will be looking for other problems or injustices to solve, other great things to herald. At the end of this unit, your child will produce writing that will go out into the world- and make a difference. 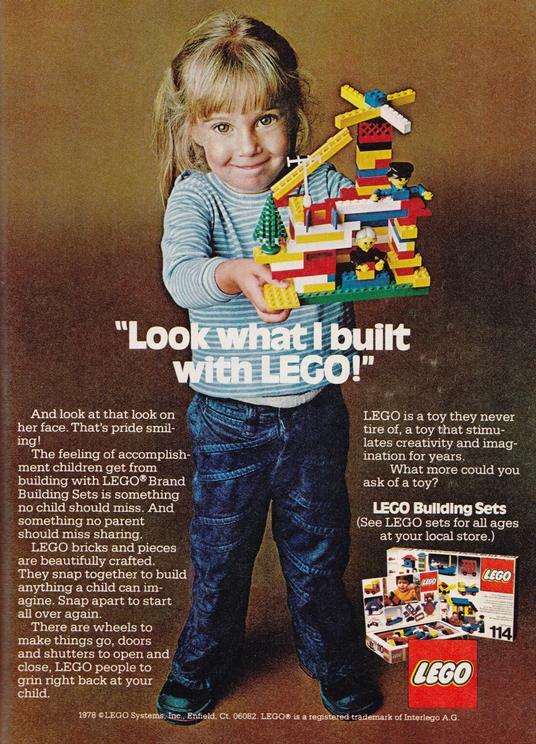 When writers want to persuade people, they try to make them think and act in particular ways. They think about their audience and work to reach them. One way to reach them is to address them directly. They often use the words you and you're. Can you find these direct addresses in the ads below? Hint: 3 direct address using you or your. Hint: 5 direct addresses using you or your. 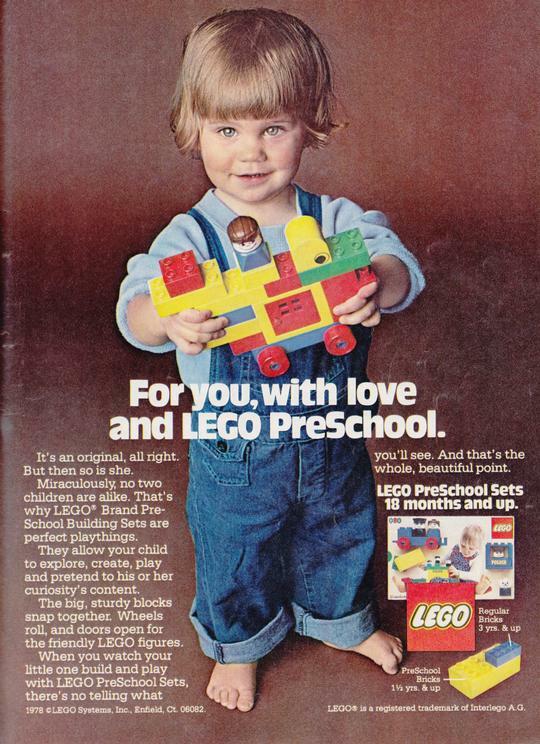 What are some questions the ad might be trying to answer for the reader?